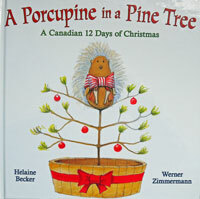 Four calling moose, three beaver tails, two caribou and a porcupine in a pine tree...Celebrate Christmas Canadian style with this great adaptation of an old classic "The Twelve Days of Christmas". Becker. hc. 2010.